Fat transfers can be the ultimate fountain of youth when gravity starts to affect one’s body, but cosmetic surgery in the United States is expensive and may cause your medical bills to hit the roof. However, fat transfer in Costa Rica can be obtained at a fraction of the American prices. The leading Costa Rican hospitals are equipped with advanced technological tools and follow similar medical standards as American hospitals. Additionally, plastic surgeons in Costa Rica must undergo strict training programs to ensure they perform high quality procedures. Whether you plan to undergo a facial or a breast fat transfer in Costa Rica, the country’s facilities contain everything you need for comfortable, affordable cosmetic treatments. What Does Fat Transfers Entail? Fat transfer, also known as fat transplantation, fat grafting, and fat sculpting involves harvesting fat from areas such as thighs and belly and injecting them into areas where more fat is desired so as to aesthetically enhance them. Fat transfer is used to repair withered hands, iron out wrinkles on face, augment breasts, and contour buttocks. Fat transfers are minimally invasive, so recipients can resume their normal activities shortly afterwards. Bruising may occur for up to a week after the treatment. An autologous fat transfer in Costa Rica is available at a lower price than in the United States or Canada because the cost of living in South America is lower in general. For those who are worried about undergoing plastic surgery for fat transfer, Costa Rica can come as a breather. There are plenty of highly-qualified Costa Rican doctors. Since many doctors in Costa Rica see foreign patients, it is quite common for them to have received their degrees or other medical training in the United States. Costa Rica is in proximity to the United States, helping medical tourists save on travel costs. Medications in Costa Rica are available at a much lower price than in the United States, so any post-surgical prescriptions will not cost you that much. While patients have to face the dreaded hospital waiting time in many countries, there is typically no waiting time before receiving a fat transfer in Costa Rica. Many of the Costa Rican doctors can speak fluent English; hence the likelihood of any linguistic impediments would be minimal. 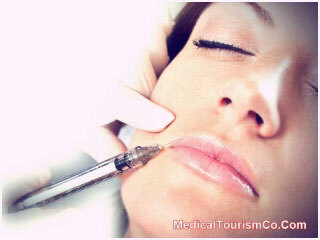 One can opt for all-inclusive packages for fat injection in Costa Rica, further lowering the cost of treatment. Get in touch with Medical Tourism Corporation for more details. Costa Rica is one of the most popular countries for medical tourism in South America because of its political stability and low violence rates, according to PROMED. One of the reasons so many patients flock to Costa Rica is the salubrious weather that promotes speedy recovery. After treatment, some patients like to relax on Costa Rican beaches and take in the beauty of the country. Those who are fans of the outdoors will greatly enjoy visiting Costa Rica’s volcanoes. Arenal Volcano is one of the most popular tourist attractions in Costa Rica. After a long day of travel, you can soak in the hot springs surrounding the volcano for total relaxation. Costa Rican cuisine is fresh and healthy. Indulge in a flavorful empanada, fried plantain, or cup of natural fruit juice. Meals in Costa Rica are quite inexpensive compared to meals in the United States. There are many activities which one can partake in on the Costa Rican beaches. You can windsurf, kayak, parasail, snorkel in the crystal clear water, or simply relax on the sand. Due to the low costs, presence of state-of-the-art hospitals, and skilled plastic surgeons, fat transfer in Costa Rica is a great alternative to receiving expensive age defying treatments in the United States. 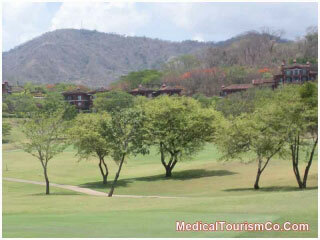 Medical Tourism Co. facilitates great discounts on fat transfer in Costa Rica. For more information fill-out the estimate-request form.